Google Now Launcher update brings Material Design like style, UI tweaks and bug fixes for older devices. 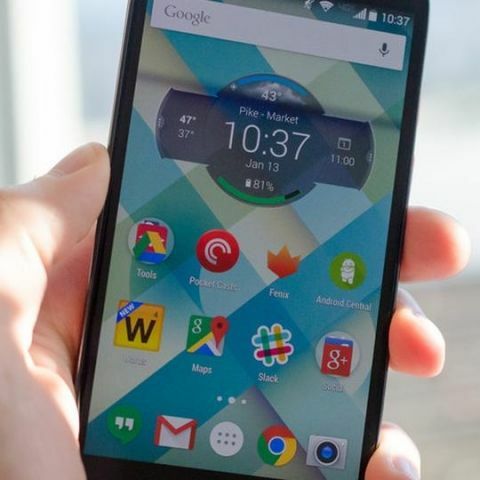 Google Now Launcher latest update brings Android Lollipop style look to devices running Android Jelly Bean and KitKat. The update is being released in phases and will reach your Android device in the next few days or you can download the latest version from the Play Store now. The Google Search bar at the top of the launcher get a nice white color and better animations with the new update. The Google Now area of the launcher has a slide-in panel on the left, which lets you switch accounts, change Google Now settings and set reminders. The update gives the Android Lollipop look, except the left-most home screen is Google Now. Swiping to the far left allows you to view cards related to your searches, your location, recommended websites, stocks, favorite sports teams, etc. Users can also use voice commands on this screen. Google has also added a new search language option to Search settings that allows you to choose in which language you want to see the search results interface. Google Now Launcher doesn’t give users as much customization as other third party launchers like Nova, Apex and others. However, it gives users access to Google Now, high stability and Material Design look on their home screen. Previously, installing the Google Now Launcher from the Play Store would give you a version that was tailored to look similar to the Android version running on your device, now you get the material design look no matter what. Have you got the latest Google Now Launcher? What do you think about the latest update? What do you think of Material Design in general? Share your thoughts in comments section below. anyone one know launcher better than GOlauncherEX for Gingerbread devices. lolipop update for android one and moto g devices?